Pasadena California is the place to be! I get phone calls constantly from home buyers saying that they want to live in Pasadena. Pasadena California is wonderfully located. It's close to the beach and it's close to the mountains. Pasadena is minutes from downtown LA. Pasadena is a walkable city. It is filled with restaurants specializing in the most delectable cuisines, spectacular museums, boutiques, and coffee houses. Pasadena has historic and character homes like California bungalow and craftsman. Homes that literally have been built from a box and still grace our historic and landmark neighborhoods. Pasadena has tree lined streets. Pasadena is known for its Rose parade and its Rose Bowl. No wonder we have so many people relocating to Pasadena! This post is a compilation of articles that I have written on my various Pasadena real estate websites. This post will be updated constantly as new information is available to help you buy a Pasadena home. 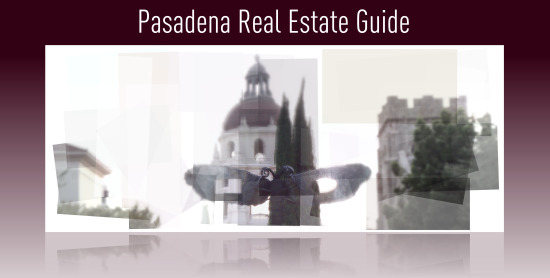 This is your ultimate Pasadena Real Estate Guide! Does your real estate agent utilize the latest technology tools to sell your home and help you buy your home? The real estate market has changed. What's the saying? "Out with the old and in with the new." Well, it's quite true in many ways. If you are interviewing for your Pasadena real estate agent, take a look at this post - Is your real estate agent using cutting edge technology? Have you seen the funny looking QR codes? What do they do? 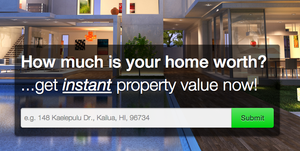 Read How to Use QR Codes to Market your Home. How do you interview your Pasadena real estate agent? Every real estate agent market the homes they list a little differently. What does your real estate agent do for you? How do you calculate your home buying affordability? Here's great advice from our lender of choice - Calculating Your Home Affordability. Tips for getting more home for your money – stretch that $. Read 5 tips for getting more home for your $. Every industry, real estate included, has its own “rules of the game”. It is important to understand the proper etiquette when you are shopping for a home in Pasadena. An absolutely “must read” when buying a home – 9 Stupid Things Buyers do to Mess Up their Home Purchase. Okay, so you have an accepted offer, you down payment is lined up… what will you be paying in closing costs? Read what kind of home closing costs should I expect during escrow? Did you know that there are two types of closing costs when purchasing a home: Understand the difference between recurring and non-recurring closing costs. What are home purchase contingencies? And, can the escrow be cancelled by a seller? 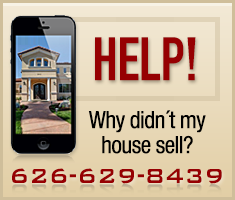 Yes… read how at Pasadena home sale escrow can be cancelled by a seller. When you buy a home in Pasadena, it’s usual and customary to put a 3% earnest money deposit. Make sure that you understand how to protect that hard earned money by reading the fastest way to lose your earnest money deposit. Now that you found your home, what kind of inspections should you be ordering? A physical home inspection and sewer line inspection at a minimum! One of the things that home buyers need to decide on while they are in escrow is how to hold title. Take a look at Property Title Insurance – What is it for and what are your options? Congratulations you bought your new home! Keep it safe - please read Lock Bumping - How to Avoid it! And you are now ready for some IRS Tax tips - see Top 10 Tax Tips for Property Owners. Sell Your Home in 30 days or less - Part 2 - how do you make your home stand out? Why should a real estate agent show your home vs. your competition? What differentiates your home from the rest of the available inventory? Top 5 Tips for Showing Your Pasadena home - find out what things to keep in mind as you place your home on the market to ensure that your home will be seen and shown to its best advantage. Here's a checklist to help you prepare for the buyer's inspection - Home Selling Inspection checklist. Do you need an ARM? Learn whether or not an adjustable rate mortgage is for you. The chart below will show you statistical trends in Pasadena for the last five years, the full report with analysis can be found at Pasadena's Real Estate Housing Analysis and Trends for 2003 through 2008. State of the Pasadena housing market - update by Leslie Applton, Chief California Association of Realtors economist. If you are thinking of buying or selling a Pasadena home, Pasadena condo or townhome, please give us a call for a comprehensive and free consultation. We can be reached at 626-629-8439.